Do you want to know how to make healthy meals every day? 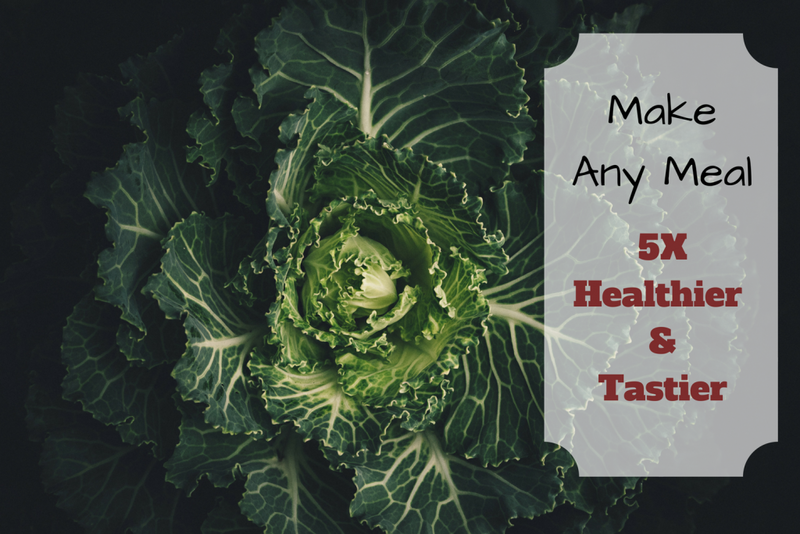 Wanna know how to make the dishes you already create, 5 times healthier? What’s the secret you say? It’s more about finding a few simple veggies that are packed with nutrients, and really easy to prepare, and loading up on those. Adding them to almost every meal. The fact is, you don’t need to scour the web for a gazillion healthy meal recipes. You can actually make the recipes you currently use, much better by adding vegetables to your dishes. Think about it…many people include bread in almost every meal, toast for breakfast, sandwich or wrap for lunch, bread buns or baguette slices for dinner….why can’t we do the same with veggies? Make sure you always have veggies you like on hand in the fridge or freezer. Kale, spinach, broccoli, cauliflower, cabbage and/or asparagus. LOAD your meal up with it! Making pizza? Instead of just cheese and sauce, load it up with lightly sautéed kale or spinach and then add other toppings. Making a stew or soup? Load it up with chopped kale, broccoli or spinach and other veggies. Don’t have time to make a salad, throw the veggies into a meal you are cooking. Making a pot of rice? No problem, a lot of cultures add sauteed veggies to rice too. Tried chopped spinach, kale or cabbage. Cook them a tad and then add them to the mix. Make veggies the dominant feature when you can. You can get affordable veggies at a local CSA or at your store and even frozen (preferably organic) veggies will do. By making vegetables a priority in your meals, you can add them to each one of them. Making sure you get a healthy dose of greens every day. Even if your child is a picky eater and doesn’t like vegetables very much, they might come to love them, especially if you add a bit of salt and pepper or mix them in with tasty sauces and the dishes you prepare. Note: If you are using frozen veggies, just make sure to cook them in a separate pan until soft, instead of dumping them frozen into the meal you are cooking otherwise you might make your dish soggy and unappetizing.